Given how the Malaysian e-hailing scene is currently being dominated by Grab, a new player entering the market is sure to garner attention. 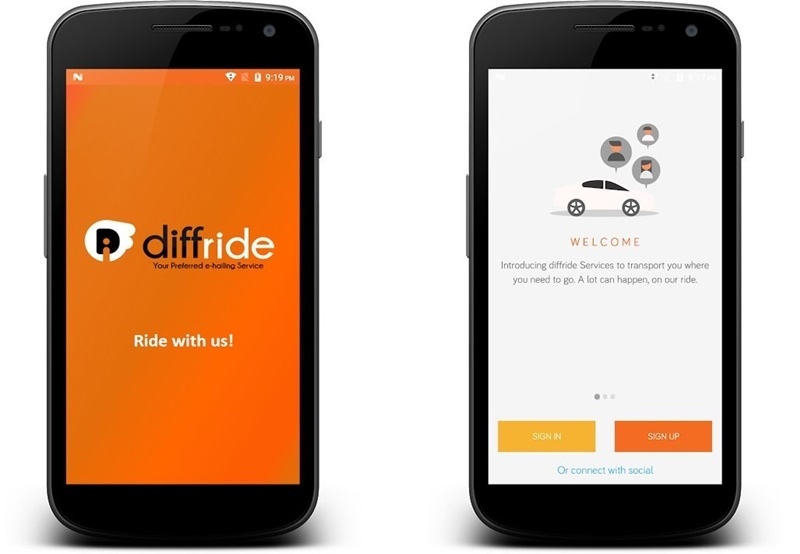 On 21 August, new e-hailing app diffride was launched, emphasising its new approach to charging drivers as one of the things that differentiates it from other apps. Instead of taking a cut from the journey fare, diffride charges its drivers a flat RM5 per day as a fee for connecting drivers with passengers and for insurance coverage for both parties. The rest of the fare over the course of the day goes entirely to the driver. “This means that we can offer our passengers a more competitive fare rate for their journey and also allow our drivers to take home a larger amount of their earnings,” said diffride CEO Hannah Yong during the launch. The fare starts at a base rate of RM5 for the first 5km and the rest of the journey will be charged based on time and distance. diffride accepts payment in cash, credit cards, and debit cards. Customers may be attracted to the following options diffride has to offer: booking ahead for journeys longer than an hour, booking a ride for a friend, and diffride’s telematics feature. The telematics system tracks drivers’ acceleration and braking patterns to detect unsafe driving or speeding to generate a review, which would hopefully lead to a higher standard of driving among diffride drivers. Besides the flat fee charge for drivers, which is a first among e-hailing service providers in Malaysia, diffride also has other plans to attract drivers. According to Yong, diffride is partnering with Digi to offer drivers special postpaid plans from as low as RM58 per month with at least 10GB of data and unlimited calls to offset the expenses spent for navigation and contacting passengers. diffride can also get its drivers special deals for Huawei smartphones, if they wish to buy a new phone for the job. Following the publicity of the diffride launch, we were curious to see how well this app would hold up as an alternative to Grab. We were surprised to find that the app is only available on Android, where it has a low rating of 2.3 out of 5 stars and some bad reviews. Based on the diffride Passenger app reviews, most users cited difficulty in signing up, an oversimplified map, and a lack of drivers as their general complaints. Similarly, a quick look at the comments on the Driver version of the app shows that it is prone to crashing, though the app has a 3.5 star rating. At the official launch, Yong stated that diffride has about 2,000 drivers now and targets to have 6,000 by the end of the year. The company also has plans to expand to other cities outside of the Klang Valley. Hopefully, the app’s reiliability would improve by then. With the fast changing pace of our economic model, the job space is constantly evolving and changing. What is relevant today, may be taken over by a machine tomorrow. First of all, you have to understand that it happens even to the best employees and you have to accept it, even if it comes with no warning. There is no point in feeling rejected and feeling incapacitated. In your time of need, here are a few steps you should take in order to secure yourself and your family. A termination without little warning is anyone’s cause for suspicion, so it makes sense when you have zero clue why you’re being fired and want answers. Cross examine your circumstance and consult with human resource executives, if not the industrial relations department if your termination was justified. Any form of termination requires proper grounds for termination and anything short will be viewed as misconduct. Any msconduct or unjustified termination should be filed with the Industrial Relations Court of Malaysia. The court then has to make a decision regarding an amicable settlement and may sometimes even result in you getting your job back. While the entire process may take some time, it is important that you get everything else in order. Even if the company was well within their legal rights to fire you, a sudden termination can still feel like a betrayal. Especially if it wasn’t a massive restructuring or you’re the only one unfairly blamed after a major blunder. Understandably, you may harbor ill feeling and might even be tempted to lash out or seek revenge. Don’t do it. Your reputation is too valuable to tarnish this way. Keep your head held high and do your best to vent your frustrations far away from the workplace, ideally among trusted company. Now that a major part of your monthly intake will be gone, you need to reconfigure your cashflow to accommodate. List down all your monthly commitments which are absolutely necessary and consider other areas that you can cut back on. As a caffeine addict, this writer understands how a cup of coffee can seem like a daily necessity, but unfortunately, a latte should not surface anywhere on your survival budget list. Once you are clear on what the monthly requirements are like, run the figures against your savings and try to assess how long will you be able to sustain without an income. It is important to budget approximately 10% to 20% for unexpected expenses on top of your prepared budget. With the current job market looking a little bleak, you will need to have a three to six month cushion before getting back onto the horse. It also doesn’t help to slow down on your expenses somewhat to help mitigate the damage on your cashflow. While money isn’t everything, it does pay for everything. This is when you will need to take a good hard look at yourself and see what you are capable of in order to create a stream of income while you search for that next job. Especially if your budget is not able to cover you for a minimum of three months, you may want to start taking up freelance jobs which are abundantly available across the internet. If you do not have the necessary skills or equipment, you may even consider driving some people around on Uber or Grabcar just to pay the bills. If you do not own a car but confident that you can commit to the driving hours, you could even rent one. Although this adds to the cost, you will have no problem covering the weekly payments and making a little extra if you are disciplined enough. Remember also that there are plenty of freelance work that don’t require you having a car or even leave your house. Despite you being in a position of need, it is important not to pounce at just any opportunity for a job. This unplanned leave of absence might be the right time for you to reevaluate your career trajectory and see what kind of options you really have. Take the time to consider how satisfied you are with your current position and remember that there is more to a job that the money it gives you. You can also start your very own business. Depending on the nature of business, some may require loans and you may very well have to turn to family and friends as banks are less likely to lend money to an unemployed person, especially without a second stream of income. While cash flow will be a little tight, it could get even tighter if you do not have something in place should your health take a hit. That is why, it is important to maintain a proper medical insurance plan, should anything unfortunate befall you. If you do not already have one, head on over to our insurance page and use our comparison tool to make an informed decision and put your worries at bay. While banks and lenders generally do lend money to those who are just beginning to build their financial life (such as fresh graduates and first-time borrowers), they tend to view you as a lower-risk borrower if you’ve had a credit history for a longer period of time. So, have you gotten your CTOS Score? Tell us your experience in the comment section below! In Malaysia, 1 in 19 Malaysian women are expected to develop breast cancer in their lifetime, and 5,000 women are diagnosed with breast cancer every year. It is also estimated that over half of the deaths due to breast cancer in Malaysia could have been prevented. You can try to minimise your chances of developing breast cancer, or you can also choose to protect yourself with breast cancer insurance coverage. Whatever your choice is, it all starts with education, so read on and find out all about breast cancer and how critical illness or medical coverage can protect you. What Types of Insurance Offer Coverage for Breast Cancer? There are two main types of insurance to help pay for breast cancer treatments. A medical plan provides coverage for specified treatments of breast cancer which typically include chemotherapy, radiotherapy and surgery. This type of plan is different from a critical illness plan which pays out a lump sum in the unfortunate event that you develop breast cancer. A critical illness plan also covers other types of cancers as well as illnesses such as stroke or kidney failure. It’s different from a medical plan in that it can be used for anything at all – it isn’t just tied to medical costs. This is because if one is diagnosed with breast cancer, a hospital bill is not the only cost that is incurred. You can use this lump sum payout to cover the gap between what your health policy covers and what it does not. Are There Insurance Plans That Cover The Early Stages Of Breast Cancer? Yes, there is. Special medical plans that are directed at covering costs related to female cancers can cover treatments for early stages of breast cancer. A basic medical plan however, may only cover treatments for stage 3 cancer and beyond. In addition, a critical illness plan for early detection can help you with a lump sum payment that can be used to cover your alternative treatments (ones that are not covered by your medical plan). The lump sum pay-out may not be a full 100%, as each stage is usually prescribed a percentage. For instance, stage 1 may receive only 30% of the sum assured whereas stage 4 gets 100% of the payout benefit. Plans do vary, so do check with your provider first. When Should I Get Critical Illness or Medical Insurance Coverage For Breast Cancer? As soon as you can afford it! The truth is nobody knows when this cruel illness might strike. Attempting to pay for the treatment on your own is difficult, if not impossible. It is very, very expensive; the average cost for private treatment is RM65,000 per year. Also, the older you get, a higher premium may be applied. Treatment at government hospitals is cheaper but there are many limitations (due to governmental budget issues) that could put your health at greater risk. For instance, you could be put on long waiting lists for treatment, delayed in getting the tests or therapies you need, and sometimes even miss out on new medications. A combination of medical insurance and a critical illness cover can help take care of the financial side of things while you focus on getting better. There are several plans that you can choose from, to work with your budget and give you some assurance. Breast cancer – like other types of cancer – starts when there is an overgrowth of cells that form a tumour which can be both benign and malignant. Most benign tumours are non-cancerous. Malignant tumours on the other hand are cancerous and can spread to other parts of the body if treatment isn’t received. Breast cancer originates from cells in the breast, most often from the ducts that carry milk. It may also start from glands in the breast and less commonly from tissue. It’s assumed that only women get breast cancer but in truth, men can get it too, although the statistics are lower. Some women and girls (and men) are more likely than others to contract breast cancer because of certain risk factors. Now, it doesn’t mean that you will get breast cancer if these risks are present. It just means that you may be more prone to it and therefore it’s a good idea to regularly check for lumps, get screened, and go for timely medical check-ups. Of course, it’s downright scary if one day you suddenly notice a lump in your breasts, but the fact is, lumps aren’t always cancerous. In fact, most lumps turn out to be non-cancerous. But just to be on the safe side, it’s best to get it checked out by a healthcare professional. Bear in mind that these symptoms don’t necessarily mean you have cancer. Any one of them can be caused by a variety of innocent ailments such as a simple skin infection, which is why it’s important for you to seek a medical professional’s help to determine your health status. Is There an Age Limit to Developing Breast Cancer? No, unfortunately. Breast cancer strikes at any age. You’re never too young or too old to get breast cancer and that is a sad fact. What you can do is give yourself the best chances for a cure if you do develop the illness by seeking early treatment. Most breast cancers are NOT hereditary. Still, you might face a higher risk if you have a family history of breast or other type of cancers. If you find that you have any of these symptoms, don’t panic. Set an appointment with your doctor and get yourself checked. The first test that a doctor will perform is a breast exam where he or she will feel for lumps or abnormalities in the breasts and armpit area. If your doctor does feel something irregular, other tests may be recommended to determine your condition for sure. What are the Tests to Diagnose Breast Cancer? This test is used to screen for breast cancer and will give an x-ray of the breast so your doctor can look for masses. If your doctor does come across an abnormality during the screening, he or she will likely order further testing. Mammograms are usually performed on women aged 40 and above for early detection. Younger women may also be asked to perform a mammogram if they are deemed to be at risk of breast cancer (i.e. having family history or dense breasts). This is another screening test that is used with a mammogram for women with higher risks, for instance; if they have been diagnosed before. It uses magnetic fields and radio waves to take pictures of the structure of the breast. This test doesn’t produce radiation but it is considered invasive as you will need to be injected with a dye through a catheter. This test helps determine if a lump is merely a cyst or a hard mass. A cyst is nothing to worry about, it’s not cancer. However, a hard mass is something that requires doctors to run further testing, like a biopsy (explained below), to determine if it is cancerous. This test involves removing a small part of the lump, usually tissue and fluid (if present) to test it for cancerous cells. This test is the only one that can confirm or rule out breast cancer. How Far and Fast Can Breast Cancer Spread? Breast cancer can spread rapidly and is hard to put a time frame on. The speed in which it spreads really depends on the individual, the aggressiveness of the cancer cells, the type of cancer cells, as well as how early or late the cancer was detected – among others. The cancerous cells can spread to other parts of the body when it is aggressive and this happens at stages three and four. It can spread anywhere, but most commonly to your lymph nodes, liver, lungs and bones, right up to your brain. What Are the Treatment Options Available For Breast Cancer? Surgery is one option where a part of the affected breast or even the whole breast (also known as a mastectomy), is surgically removed. Brave Angelina Jolie had a double mastectomy as she was deemed a high risk. Another treatment option is Radiotherapy which may be used after surgery or chemotherapy to kill remaining cancer cells. This type of therapy uses radiation to attack the cancer cells. Chemotherapy is a treatment for breast cancer that is given to those diagnosed, in the form of injections or via medication. It’s a popular treatment that is often associated with most, if not every type of cancer. Depending on the cancer stage and condition, doctors might advise a combination of these treatments. The goal of these treatments is to provide breast cancer patients with the best possible chance for a cure, or failing that, to control the cancerous cells from spreading to the other parts of the body. It’s Merdeka week, which means there’s no better time to get to know more about our beloved country. And what part of Malaysia does RinggitPlus know best? Her money, of course. Back in the Portuguese colonial era, the type of money widely circulated was the Spanish silver dollar. The craggy and irregular edges of the coin were the distinctive features of this currency, so the Malays of the time would refer to them as “the jagged ones” or “ringgit”. With ringgit being an old archaic word for “jagged”. Now that word is exclusively used to refer to the Malaysian currency. If you’ve ever heard someone describe the price of something as “10 dollars” when you know it’s 10 ringgit, you probably think they’re just making a translation mistake. While they might be wrong now, if they had said that before August 1975, they would be correct. Because back in 1967, Malaysia, Brunei Darussalam, and Singapore began issuing their own currencies (all of them called the “dollar”) in place of the Malaya and British Borneo Dollar, which replaced the Malayan Dollar and Sarawak Dollar back in 1953, which replaced the Straits Dollar back in 1939, which replaced the original Spanish silver dollar back in 1898. So with this new Malaysian Dollar, Bruneian Dollar, and Singapore Dollar, the three countries decided to sign a Currency Interchangeability Agreement to make their dollars exchangeable at par with each other. However, Malaysia pulled out of the agreement later on in 1973. Two years later, the official name of the Malaysian currency became Ringgit and Sen. Despite this, the RM1 coin issued in 1989 still had the dollar sign ($) on it until 1993. Some changes take a while. In 2008, a rounding mechanism was introduced where prices of the total bill of any purchase would be rounded to the nearest 5 sen, as a move to eliminate the 1 sen coin form circulation. By this time, the RM1 coin has also been demonetised for three years since we already have the RM1 banknote. Despite this, if you have these coins in your purse or somewhere around the house, you can still use it as legal tender, but only for payments up to RM2. The seller would probably get annoyed and maybe even refuse to accept it though. So maybe it’s best to hold onto them or exchange them at Bank Negara’s offices. If you take a look at the banknotes you have with you right now you can probably make out the signature of a Bank Negara Malaysia governor. If that signature is of a “Zeti Aziz”, that’s because she’s the former governor of Bank Negara, who served for 16 years. A term that’s only the 2nd longest after Tun Ismail Mohd Ali who served for 18 years from 1962 to 1980. Which is pretty impressive since the average tenure is just 5 years. So since we have a new governor now, Datuk Muhammad bin Ibrahim, new banknotes issued from September 2016 will bear his signature. There is still very limited supply of those versions of banknotes at the time of writing, so not a lot of people are aware of this. In fact, the supply for these new notes is so limited, people are already selling them on ebay for a giant markup. Back in 2006, the Malaysian state of Kelantan made their own coins out of gold, stating it’s closer to the practice of the prophet Muhammad and that the current fiat currency has been compromised by usury and other unIslamic practices. These Kelantanese gold coins are called dinars and was implied by the state government that it should replace the use of ringgit in the state. However, Kelantan’s own religious authority issued a statement saying they can’t use the dinars as legal tender as states don’t have the power to make their own currency. Right now you can still find people who hold on to these dinars since they’re made of gold and do have an actual value outside of its use as currency. Just don’t try to pay for ice-cream with them. The latest series of coins in circulation were issued back in 2012 and features gold-coloured 50 sen and 20 sen coins. What it also featured was a funky little security feature on it that you probably aren’t aware of. Tilting the coin on its reverse side shows a latent image of the number “50” and the word “sen”. Pretty cool since it’s often banknotes that get these extra security features and now we have it on our coins too. As it turns out, the history of our currency can be as rich and as interesting as the history of our food, music, and culture. Who would have thought? So remember, the next time you pull out your banknotes and coins that you’re holding an essential piece of Malaysia right in the palm of your hands. Ovarian cancer is often called the silent killer. It’s reputation is likely earned due to the fact that the more severe symptoms do not typically show up until the later stages, by which time survival rates dwindle considerably. If detected early, the survival rate according to Cancer.Org is 90% (within five years), bit it drops to 39% in stage 3 and only 17% in stage 4. And now for the scary news – approximately 70% of Malaysian women are being diagnosed at stage three and four, and 1,000 new cases are expected every year in the country. Ovarian cancer is also the fourth most common type of cancer among women in Malaysia. At present, there is no effective screening for ovarian cancer and its symptoms are often less obvious. The best chance for a cure or early detection in Malaysian women is to be proactive about one’s own health by committing to regular check-ups and staying in the know. What Type of Insurance Offers Coverage for Ovarian Cancer? Specific types of medical and critical illness insurance plans that cover cancers or female-related diseases (including female cancers like ovarian cancer) are available. These types of plans offer more comprehensive coverage. A medical insurance plan is different from a critical illness plan though. Medical insurance is aimed at covering your hospital bill and treatment costs. But it’s very important to read your insurance policy properly and understand what is and is not covered. Most medical insurance policies do not cover treatment costs for the early stage cancers. But there are other policies that may offer to pay out a portion of the sum assured based on the different cancer stages. For example, they may offer 30% of the total sum assured for stage 1 and 50% for stage 2. On the contrary, critical illness insurance coverage generally provide a lump sum benefit pay-out if the policyholder develops a critical illness such as ovarian cancer, which can be of great help to pay for your treatments during the early stages, as well as your daily expenses. Are There Insurance Plans That Can Cover The Early Stages Of Ovarian Cancer? As a rule of thumb, basic medical cards do not cover the early stages of ovarian cancer. A better option would be to seek out a women’s health plan with a critical illness rider that allows for early stage claims or a critical illness cancer plan. These specialized women’s health policies might also offer additional treatments and therapies for ovarian cancers, other types of cancers and female specific diseases. A critical illness plan that pays out even for early stages of ovarian cancer can be used to cover everything from treatment bills not covered in your medical plan, to alternative therapies and loss of income. Critical illness cancer plans may also pay out a special benefit for gender-specific cancers. For instance, women would be paid a benefit for ovarian cancer and men for prostate cancer. Be sure to look for the term ‘early care’ or ‘cancer’ when looking for a critical illness insurance policy. If those terms are not indicated anywhere on the product information, do check with your insurance provider or agent before buying. When Should I Get Critical Illness or Medical Insurance Coverage For Ovarian Cancer? The younger you are, the cheaper the plan. Many dismiss critical illness plan and deem it not as important as a medical plan. But if you can afford it, it’s wise to have additional coverage to protect against worst case scenarios. There are multiple plans that you can choose from that provide care for a wide range of illnesses. The benefits of a critical illness plan is quite substantial and you should get one especially if you are high-risk. Also, do note that some women or cancer-specific critical illness plans might have a cut-off age for coverage application which varies with providers. Ovarian cancer refers to cancer of the ovaries and only affects women (for the obvious reason that it is a female-exclusive organ). The ovaries form part of a woman’s reproductive system that is responsible for egg supply as well as female hormones. There are three kinds of cells in the ovaries, if cancerous; these cells can develop into malignant tumours. How Many Types of Ovarian Cancers Are There? There are three types of ovarian cancer tumours. The first, most common (accounting for 90% of ovarian cancers) are epithelial tumours. It also happens to be the deadliest form of ovarian cancer tumours. This type of tumour covers the surface of the ovaries. The second type of ovarian cancer tumour is the germ cell tumour from cells that produce the eggs. Lastly, the third type of ovarian cancer tumour is the stromal tumour, formed from cells that produce hormones and holds the structure of the ovary itself. These forms of ovarian cancer are said to have a better outlook and is less common. The exact cause of ovarian cancer is relatively unknown but there are theories about risk factors that could make one more susceptible to the disease. These risks include age (being over 40 years), obesity, never carrying a full-term pregnancy (or carrying one after the age of 35), a personal history of breast cancer and the use of some fertility drugs, among others. There are certain factors that might also lower your risk, these include taking certain types of birth control, having your tubes tied, a hysterectomy, and surprisingly, a low-fat diet. According to an Asian study in the Gynaecologic Oncology Journal, a woman’s genes may have some link to ovarian cancer. Malaysian women can actually get tested if they are a carrier for the gene for about RM1, 500. Where Does Ovarian Cancer Spread To First? The most common areas it spreads to include the abdominal cavity and bladder. In later stages or with more aggressive cancers, it can spread to the liver and lungs as well. According to WebMD, ovarian cancer spreads very quickly too. Sadly, most ovarian cancers are diagnosed in the later stages when survival rates are lower, as mentioned. This is because the symptoms (as listed above) as you may have noticed are common with many other ailments too and often not severe until later stages – which can’t be helped. Who immediately assumes that bloating or nausea has anything to do with ovarian cancer? And to make things more difficult, there are no reliable tests for early detection. But, if you are high-risk (i.e. have had breast cancer and a family history), your doctor can perform a pelvic exam, a blood test, and an ultrasound. Your doctor will likely recommend further testing if abnormalities are found. This could include more lab tests, CT scans, PET scans, and a colonoscopy (to rule out bowel issues), among others. What Treatment Options Are Available for Ovarian Cancer? The treatment options for ovarian cancer depend on the type of tumour, stage of the cancer, and the age of the patient – among others. Typically though, the treatment starts out with minor laparoscopic surgery to determine the stage of cancer. After that, doctors may recommend surgery to remove the tumour as well as other organs such as the ovaries and uterus to reduce the chances of it spreading. Your doctor is also likely to suggest chemotherapy and radiation to kill the remaining cancer cells. It also keeps them from multiplying, especially in patients where the disease is more advanced. Remember to take your time and decide on a policy that works for both your budget and your peace of mind. Browse some of these options on RinggitPlus to get a better idea of what you want. Most of us are already tied down with multiple financial obligations, so why add to it unnecessarily? There are some things that you may be inadvertently doing without realising that they’re costing you more money on important matters – such as your motor insurance. Renewing your motor insurance way after it’s expiry date can result in penalties and higher insurance premium. This is because insurers will see you as a high-risk driver because you’ve been driving around without a motor insurance coverage. To avoid this, set a reminder for next renewal at least 2 weeks before your motor insurance expiry date. This gives you enough time to prepare for the renewal or shop around for a better motor insurance product. Having a motor insurance policy does not mean you should claim from it every single time you get into an accident. Insurers will look at your claims history before renewing your motor insurance, and if you’ve been making too many claims in the past – especially if the fault was yours – you will end up with a higher premium than the previous year. It’s also worth mentioning that the insurers will be looking at your claims history as a whole, so whether the claims were made with them or with a different insurer, the result is most likely the same. Claims system shared by insurer. What you can do to maintain a good claims history is to avoid making frequent, small claims and only claim for repairs that you cannot afford to pay on your own. Where you live matters when it comes to ensuring a lower price for your motor insurance premium. If you’re wondering why, it’s because insurers will view some areas with higher statistics of car accidents and vehicle thefts as a high-risk factor. Areas in the city are often deemed as high-risk locations, while the suburbs and the rural areas are seen as low-risk locations due to the low number of car accidents and theft. We know, moving out just for the sake of getting a lower motor insurance premium rate is a little ridiculous. But, if you are thinking of relocating, this can be one of the factors that you should consider before settling in a new area. It only makes sense, the more speeding tickets, summonses, and traffic violation records issued under your name, the higher your risks are as a driver. This, in turn, causes your motor insurance premium to skyrocket when compared to a driver with a clean driving record. Now, more than ever, is the time for you to be more responsible and conscientious when on the road. Not only you’ll be safer, but you’ll also be saving more in motor insurance premium in the long run! Unsurprisingly, insuring a high-performance car such as a sports car can be a costly affair. The reason is simple, high performance car has higher risk – which results in a higher premium. Another factor that can sky-rocket your motor insurance premium is if you own a high theft-prone car. Some cars are more appealing to car thieves as they’re easier to sell to the masses, and if your car is one of targeted vehicles, chances for the insurance companies to hike up your motor insurance premium is quite high. According to PIAM, an average of 60 vehicles get stolen every day in Malaysia, making us the sixth country on the world’s top car theft list. It’s not a very comforting statistic, but it’s useful information for you for when you’re considering your next vehicle purchase. Of course, if you like driving a high-performance car and you can afford the insurance premium then by all means, enjoy your ride. But if you know that it will only damage your finances in the long term, opt for a cheaper – albeit safe – car instead and enjoy more affordable premium for the years to come. Blindly accepting a motor insurance quote without shopping around could be costing you a lot of money. With the de-tariffed market, insurers are now free to quote motor insurance premium prices according to your driver’s risks and your selected coverage. Before buying a motor insurance policy, take some time to assess the available products in the market and determine which and the sufficient amount of coverage you need. Once you have an idea of what and how much coverage you prefer (and need), start comparing quotes for similar coverage motor insurance policies and choose the one that suits your needs and budget best. Have you been doing any of the above? Now is not too late for you to improve your driving habits (and perhaps even plan a wedding?) to enjoy lower motor insurance premium rate! It also helps for you to choose insurers that have a long-standing track record and are trusted by the Malaysians. Take a look at the Private Car Insurance by RHB Insurance and see what they have to offer! Do you agree with this article? Share your thoughts and what you think Malaysians can do to help lower their motor insurance premium in the comment section below!